Megaton Leviathan tickles your cortex with Mage, a heady exercise across multiple genres with the intent of getting you in touch with your spiritual side. 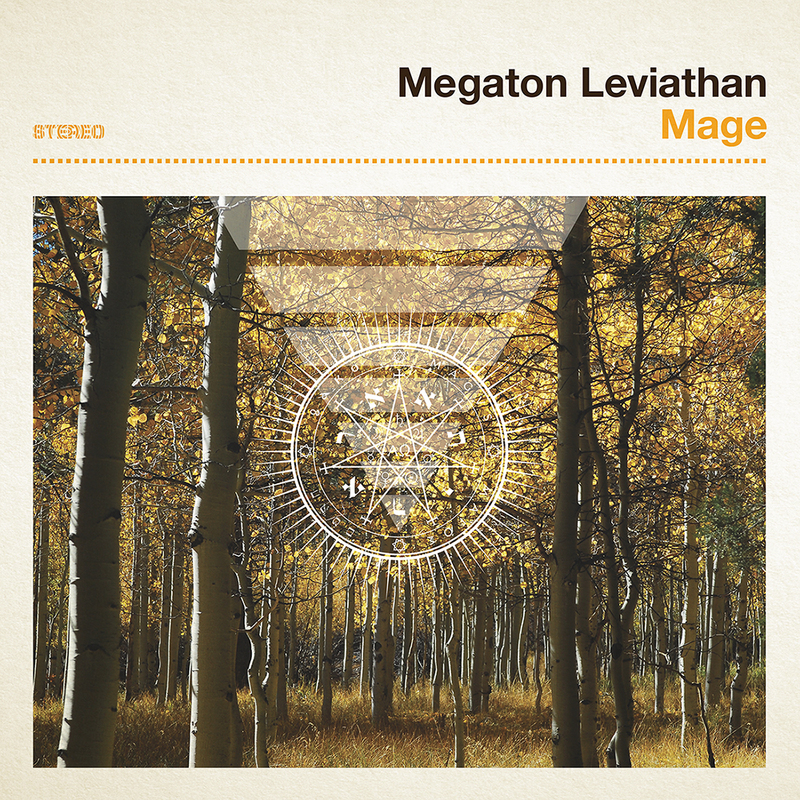 Hailed as ‘purveyors of spiritual mysticism‘, Megaton Leviathan really do aim for things that are larger than both them as a band and nearly anything else on this plane of existence. If you’re a little unclear on what mysticism entails, well, you were not the only one in need of a refresher, but a passing familiarity will show that the Portland sextet hone their experimental sound to reflect the values of the practice. A mix of post-rock, synths, industrial, doom, and drone music would make any person feel spiritual at the right moment, and that’s pretty much what you get with their latest effort, Mage. Seeing as music is as close to spiritual experiences as I get, I was the right man to look into this album. You remember when Blut Aus Nord went experimental and industrial with their 777 series of albums? Mage reminds me of that, but less dark, more mystic, and largely better. It is a cheap comparison, but I can’t shake it from my mind. Really, Mage is a lot more than any one comparison can divulge. Their blend of post-rock, doom metal, and synth-based electronics is unique by my estimate, mostly because Megaton Leviathan just do more with the concept overall. It’s not an exaggeration to say that the music here will melt away your corporeal form if you let it (okay, maybe a bit of an exaggeration). Give in to the hums, drones, and prickly synths and you’ll find your consciousness floating through a forest of Technicolor trees that radiate warmth under a flaming purple sky. Or something; your mileage may vary. An abundance of atmosphere really drives the trippy, cerebral vibes here. It’s most prominent in the synthwave-kissed 15-minute closer “Within the Threshold”. The whole album is largely a wall of sound that takes on different textures and densities. A song like “Wave” is a little more harsh in places like its intro, whereas the title track is smoother and more digestible on first listen, even though it’s instrumentally a little heavier. “The Belldog” floored me when I first heard it (subsequently as well, but you get the point). It’s quite lush and has an even grander approach than the other tracks. The well-enunciated vocals command control over you. Synths contract using the listener as a focal point, their pulses like an intimate alien language. Past the five-minute mark, the outro begins and in comes a twinkling piano line that dances in and out of the song. At the sixth minute, you can hear a melody that is either very, very close to, or an interpolation of, the exact melody from the intro to The Doors‘ “Riders on the Storm”. Nice touch! Aside from that, I wasn’t overly smitten with anything on Mage, but it made for some endearing listens. Hearing the progression of “Take the Fire”, while walking to my morning bus each day while the sun crept over the horizon, was a trip. The busy nature of these tracks and their compositions lends itself to some rough mixes when it comes to vocals, which are often relegated to a distinct, but still buried, hum in the background. Although “The Belldog” was a special treat with unique vocals, I wish the vocals were more upfront elsewhere like they were on that track. Megaton Leviathan spread themselves in a few different directions here with Mage. They seem to have a clear vision of what they want to achieve artistically, and they succeed despite some minor gripes. It’s something you can zone out to, or meet head-on to let it stare into your mind’s eye. An entertaining venture to be sure. This album is a trip, something conceptually and sonically fitting of Blood Music‘s cream-of-the-crop roster. As always, shoutout to them for endlessly being ahead of the curve.